Wow Your Customers with Our Service! Hundreds of businesses, bloggers, wellness coaches and more use Once A Month Month Meals to diversify their business! 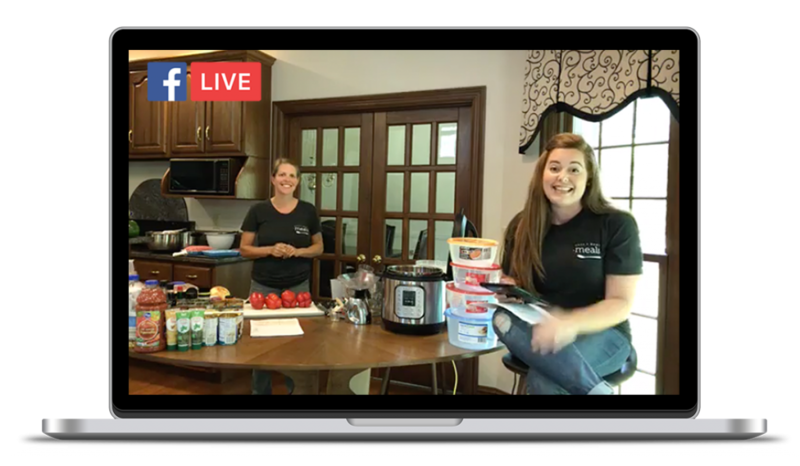 Share how our product helps your audience achieve their meal planning and wellness goals through a custom affiliate link! Earn commission through every new customer who becomes a member because of your promotional efforts! Our bread-and-butter is in building insanely simple, and time-saving meal plans and menus so that our paying members eat better, save time, save money, and stress less over daily meals. Because our specialty is in creating menus, we look for affiliates from all industries to partner with to share our mission of making time for what matters most with their audience! Are You The Perfect Fit?! Whether you primarily create content about food, fitness, health, or crafts; our audience has one thing in common: they are all busy trying to make time for what matters most in the midst of it all! Do one of these describe you or your business goals? Are you a blogger or social influencer promoting food, family life, or lifestyle content? Are you looking for fundraising efforts for schools, teams, PTO, homeschooling organizations, and beyond? Are you promoting wellness as a nutritionist, dietitian, personal trainer, within a gym, and more? Are you encouraging your audience to find unique ways of saving time and money in their lives? We know that your audience trusts you and your suggestions. Sharing the mission of Once A Month Meals confirms that you indeed care about them and their meal planning struggles and that your greatest desire is to recommend solutions to their daily problems. Show them that it is indeed possible to spend less time in the kitchen and more time with those they love; That you have found a meal plan that supports their hectic life, not adds to it. That’s not just good business, but good life advice. During an open enrollment period when we are accepting new members and someone clicks your unique affiliate URL to make a purchase, you will receive a credit for their purchase! If we are not open to new members, they automatically move to our priority waitlist under YOU so you still get credit when they make a purchase! If they don’t join immediately, a cookie is dropped for the next 30 days. Meaning if they return within 30 days, you still get credit! Earn $10 for every new monthly member and $20 for every new yearly member. *Amounts apply only to the initial purchase, not any recurring purchases. For example, if someone signs up for a monthly membership (which is a recurring subscription) you receive $10 for the initial purchase but not $10/month for each subsequent month that they continue in membership. Complimentary Once a Month Meals Membership! 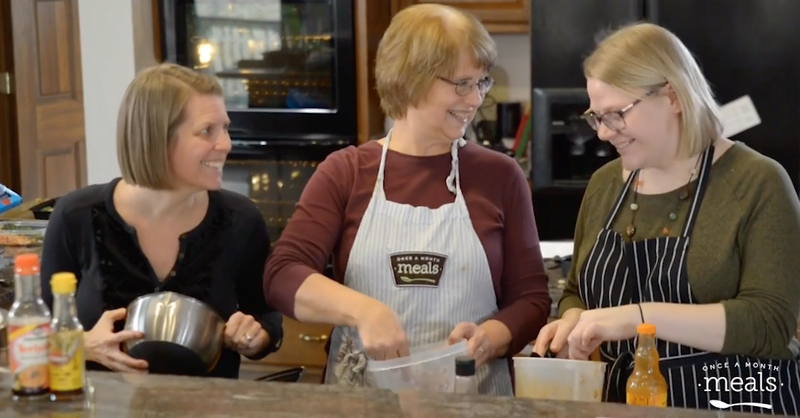 You receive access to all the resources our members get for at least three months so you can get to know your way around our site and share your freezer cooking experience with your readers, friends, family, or organization! *If you are already a member, we will set your subscription to trialing for this period. Additionally, we audit these memberships on a quarterly basis. We will continue your free subscription as long as you remain an active affiliate, meaning you get at least one person onto the waitlist or get one sale during an open enrollment period. 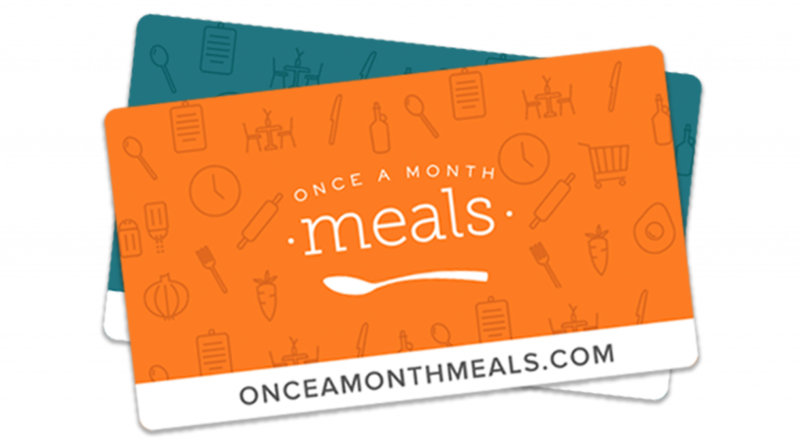 Our affiliates are among the first to know about special opportunities to get involved in the Once a Month Meals Community!